When considering the various arguments for implementing adequate QA & Testing processes, none is more convincing than the associated costs of a faulty product. The longer a bug goes undetected, the more costly it is to fix. 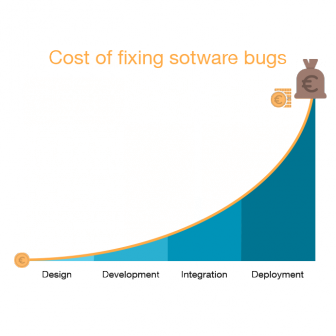 In the overwhelming majority of cases, a simple cost vs benefit analysis will show that the benefits of employing a skilled and well-equiplled QA & testing team and adequate quality processes far outweigh the costs. 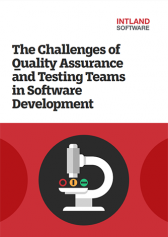 What makes QA and testing important, however, is more than its effect on your products' quality. QA & Testing adds value by having a great impact on your brand's reputation. Simply put, reliable Quality Assurance processes help communicate to the customer that everything possible is being done to ensure that the product is of high quality and will meet the defined project requirements. This, of course, is important in all industries, but in safety-critical sectors, it can be key to your company's success. Compliance with industry-specific software standards is often a prerequisite to being able to market safety-critical products such as medical devices, automotive or avionics systems, etc. In these highly regulated industries, the purpose of software Quality Assurance is to ensure that software engineering processes used throughout all phases of the development lifecycle are mature and adequately contribute to the delivery of quality products as per industry standards such as IEC 61508, ISO 26262, IEC 62304, etc. To learn more, watch our webinar recording from Sep 2016 below, get in touch with us, or start your free trial of codeBeamer ALM today!